Insecurity: When an employee is insecure about his ability, he tends to hold back and does not engage himself as much as if he was confident. For example, let’s say you introduced a new software, like shopVOX, to help with the management of quotes and production for your business. If you did not properly train your employees how to use it, they will be unsure as to what to do causing insecurity. Solution: Make sure whatever tasks your staff is assigned to do, they thoroughly know and understand how to do it. This will help build their confidence. Unpleasant co-workers: You heard the phrase, “One bad apple can spoil the bunch.” This is true in the work environment. If you have a team member that is often rude, stand-offish, or negative, this can cause tension in the workplace which can totally lead to lack of motivation. Solution: Offer an upbuilding class about self-development or another type of event that can help team members become more positive and motivated, as well as to learn how to handle pressure and stress. Also, talk with the unpleasant co-workers one-on-one and discuss proper attitude that should be displayed at work. Lack of vision: If there is no room to grow in your company, or your business does not have any vision to expand, this can demotivate workers. The types of employees more business owners strive to attain are those that want to move up in their careers and life. These types of employees tend to work harder and can be very dedicated if they know there is a chance for something bigger and better down the road. Solution: Give some insight to your employees information about your ideas for expansion, bonuses, future management or higher positions that will be available, etc. When they know, there is opportunity, they tend to work better. No appreciation: Sure, people work to pay their bills, to support their families, to go on vacations, and so on. To a business owner, it may seem like a give and take deal– “you work and I pay for you” mentality. Sure, that’s basically what is happening, but people also have the needs to feel appreciated. If they feel like they are just another machine working hard for you while the company brings in more and more money for you and your life, employees tend to feel resentful and unsatisfied. Therefore, they will only give what they need to while watching the clock to go home. Solution: Show you care about your employees and let them know you appreciate their hard work. Give incentives, compliments, and make their jobs easier by offering a program like shopVOX business management to help them manage their projects and tasks better. This will show them that you are invested in them like they have invested their time into your business. No accountability. Without having the need for accountability, employees often don’t have a reason to strive for better performance. Employees need to know what is expected from them and when it is to be expected. If they do not, they will often dilly dally their way through the day playing on their smartphone apps. Solution: Create goals, due dates, and standards of production and make sure they are known and tracked. As a shopVOX user, you can set due dates for projects, tasks, and jobs that can be tracked for progress and completion. So you recognize some of these patterns in your business? Don’t worry! Fortunately, for whatever reason your employees may feel unmotivated, there are often ways to encourage them to want to be more engaged. 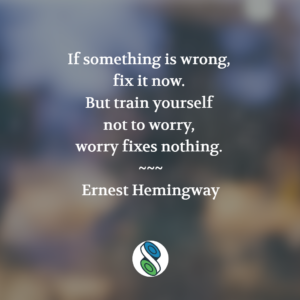 Ernest Hemingway stated, “If something is wrong, fix it now. But train yourself not to worry, worry fixes nothing.” Take action and make the necessary changes and see the shift in your company! What are some reasons that you find employees lack motivation? Please share below.